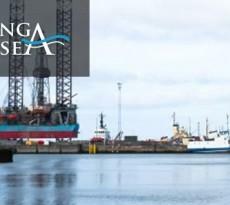 A new revolutionary approach to buying and selling marine fuel is now available. 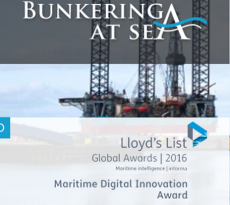 The world’s first real time platform was launched by Cyprus-based startup company Bunkering at Sea (BAS) Ltd. The platform addresses the needs of ship owners across the board. Whether they are a large shipping company or a smaller one, whether they are yacht or fishing boat owner, regardless vessel type, they are able to cover their bunkering needs at the best possible prices. BunkeringAtSea.com, is designed to act as a mediator, connecting bunker suppliers, brokers and traders to bunker buyers around the world and letting them manage the bunker bidding process completely online through an “always available” and transparent system. The ship owner or ship manager has the ability to view all platform-registered suppliers and their selling fuel price, make an offer and negotiate for the best possible closing rate. From start to finish all documentation involved is created and available online through the platform, eliminating the time and bureaucracy involved in conventional trading. However, simplifying the fueling process is not the only advantage to using the online live platform. Transparency is ensured, while minimizing disputes and cancellations between suppliers and owners. Furthermore, www.bunkeringatsea.com offers online information on oil prices and supply costs at various ports around the world, giving users the opportunity to strategically plan their bunkering needs for cost effective transactions. Bunkering at Sea people tell EMEAstartups.com that although on-air a short while, the platform is already capturing attention and interest from major companies worldwide.